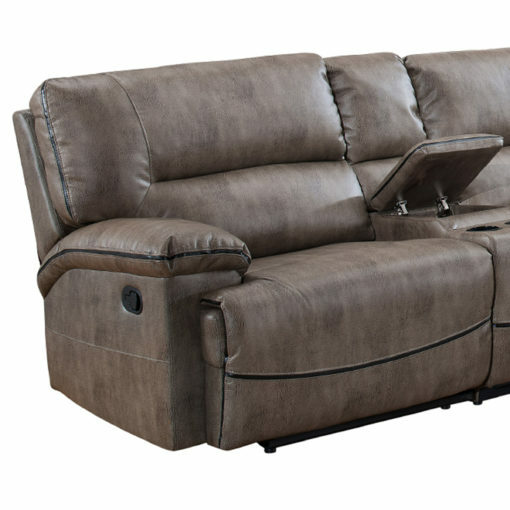 The AC Pacific Donovan Collection Contemporary 6-Piece Upholstered Reclining Living Room Set with Sectional Sofa, 3 Recliners, and a Storage Console with Cup Holders is the Ultimate Entertaining Furniture Set. 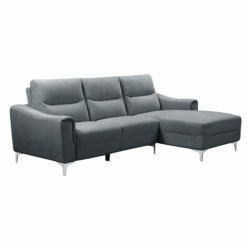 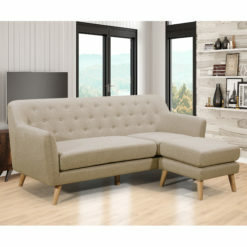 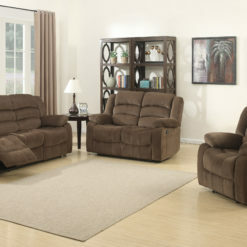 If You’re Looking to Furnish a Den, Media Room, or Living Room, this Set is for You. 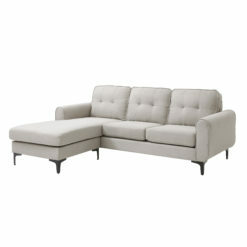 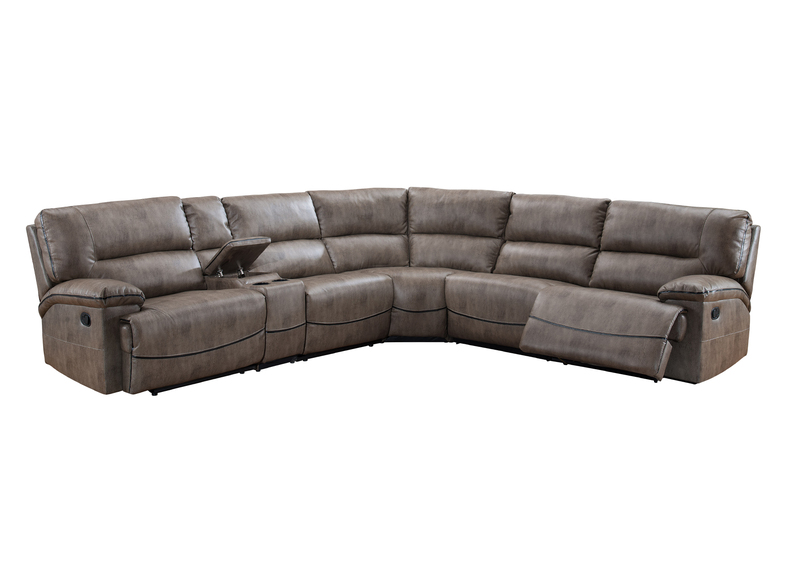 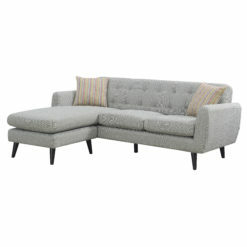 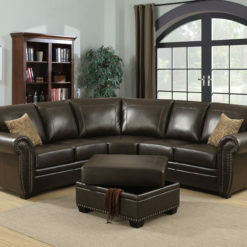 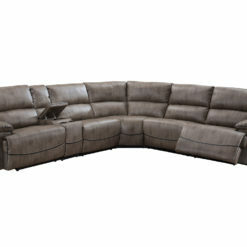 Each Piece in the Reclining Living Room Set has Ample Proportions that Make for Generous Seating for up to 5 People. 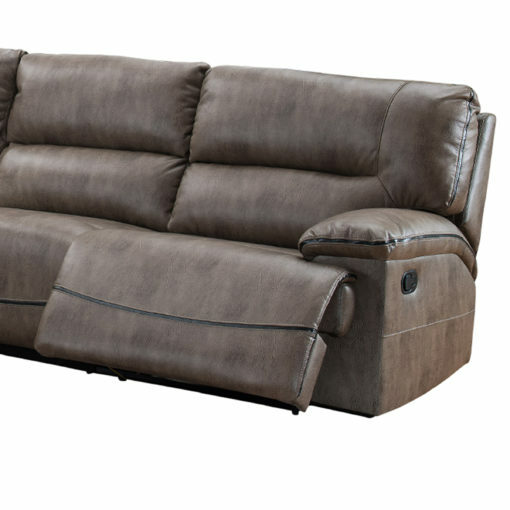 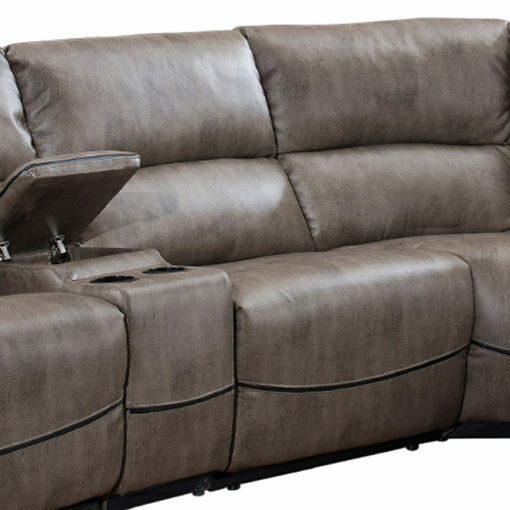 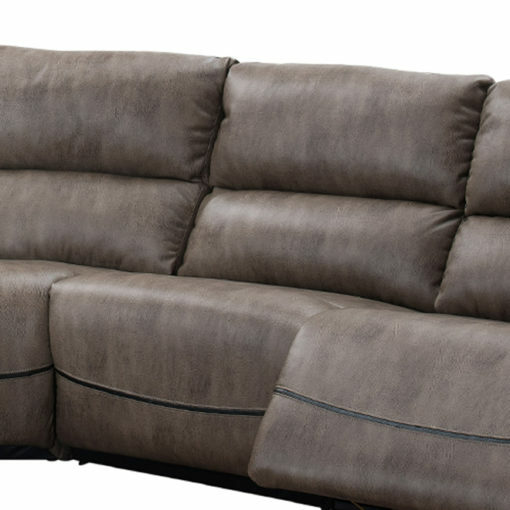 Equipped with 3 Recliners, a Storage Console with Built-In Cup Holders, and Featuring Plush Cushioning Throughout, the Furniture Set Offers Ultra Comfortable Seating Choices for Everyone. 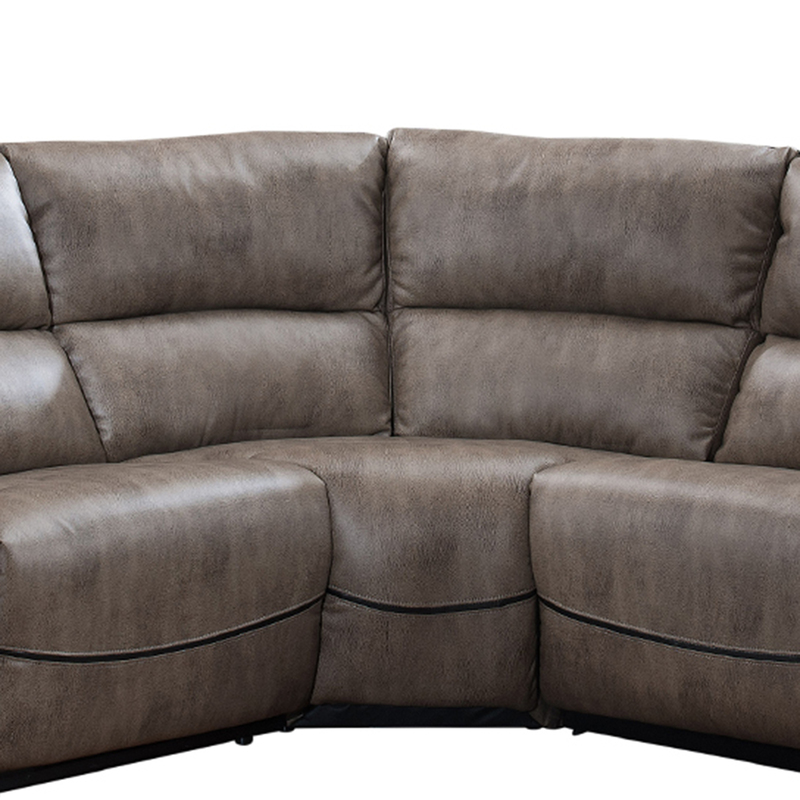 Each Piece is also Beautifully Upholstered in a Chic Taupe Polyester Blend Fabric, Making it a Set that can Fit in with Any Home Style. 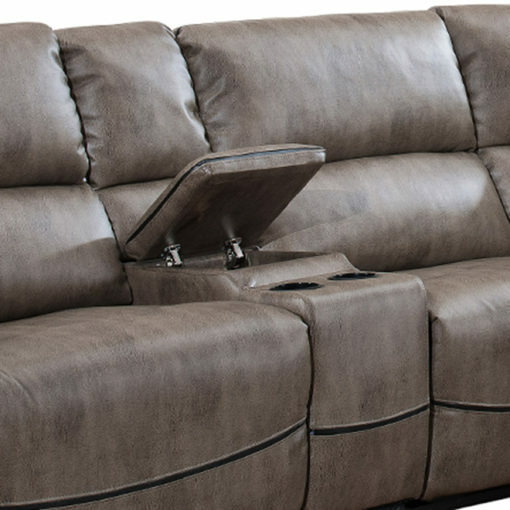 The Perfect Place to Watch a Movie, TV Show, or Play your Favorite Video Game, the Upholstered Living Room Set is what You have been looking for. Since our humble beginnings in our Southern California office in 1995, AC Pacific has grown rapidly from a handful of furnishings to hundreds of selections to better accommodate the needs of today’s growing families.